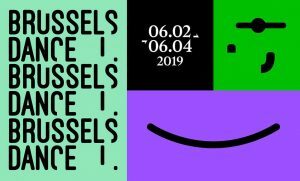 As part of Brussels, Dance! two artists accompanied by Garage29 show the progress of their projects. An opportunity to take stock, with the public! MATCH, between Vilma Pitrinaite and Emily Gastineau, is a performance that takes relation as sport and emotion as score. Two players test the grounds of competition itself, but the rules are always changing. Adapt or perish. Produce or perish. Concept, choreography & performance: Vilma Pitrinaite & Emily Gastineau Supports: Fillimit Platform/KoresponDance Festival (Zdar nad Sazavou, Czech Republic), ATLAS Program/Impulstanz (Vienna), Ministère lituanien de la culture, Fresh Oysters Performance Research (Minneapolis, MN, US), SE.S.TA Coaching Residency (Prague), New Baltic Dance Festival (Vilnius and Post Gallery, Kaunas, Lithuania), WorkspaceBrussels, Garage29 (Brussels). TULIP is part of a process that seeks, in the creation of a show, the musica(bi)lity of events and sensations. The research will focus on eros and distance, starting from the concept of primal distantiation between the human beings. Exploring different possible exercises both physical and theoretical as a source of creation, it wants to get to a performance made of music, voice and movement. By and with Irene Russolillo. Supports: CID (Centro Internazionale della Danza, Rovereto), SPAM (Rete per le arti contemporanee, Lucca), Garage29 (Brussels).